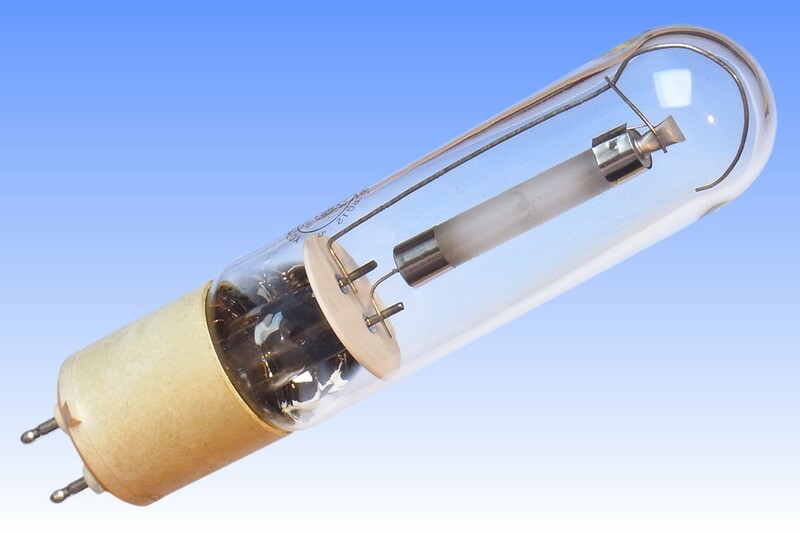 In the 2nd half of the 1980s there were concentrated efforts to develop low wattage HPS lamps with white light and high colour rendering, to replace halogen and incandescent lamps. The Japanese were the first to launch lamps whose colour temperature was increased to about 2500K with a CRI raised to the mid to high 80s, notably Iwasaki's SDX and Matushita's K-HICA-G series. 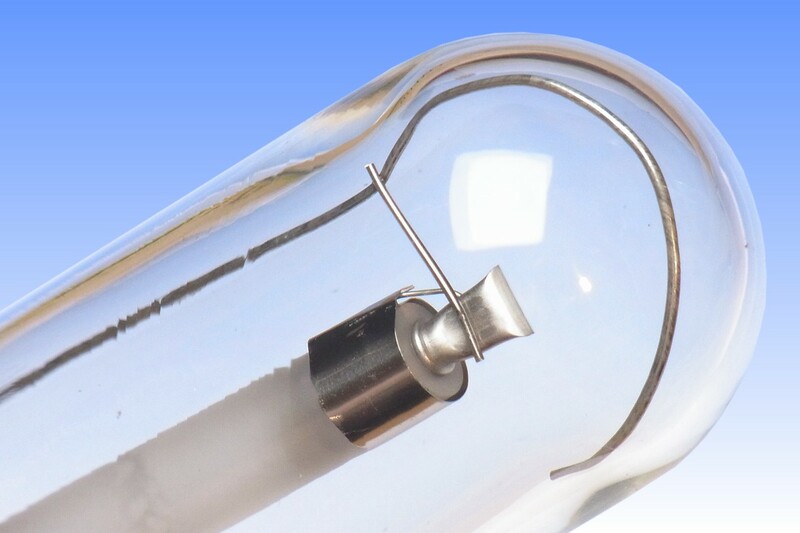 The design was further refined with the invention of Philips' SDW lamps with modified arc tube seals to improve performance and reliability. 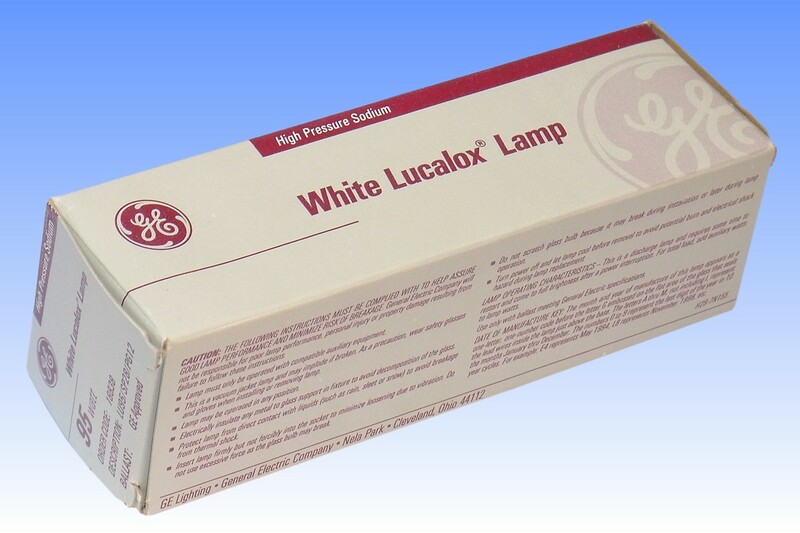 GE was relatively late to market, but the 1990 launch of its White Lucalox did not fail to impress. It achieved still higher CCT of 2800K, with CRI a little lower at 70+ to limit the efficacy drop that always accompanies white sodium lamps. Whereas competitors achieved a whiter light by increasing the sodium vapour pressure, which complicates arc tube design and limits life, GE pioneered the novel concept of operating the discharge in pulsed mode. It requires a dedicated ballast co-developed with Tridonic, which delivers very high current pulses of about 15-20A and 50-100μs width at high frequency. 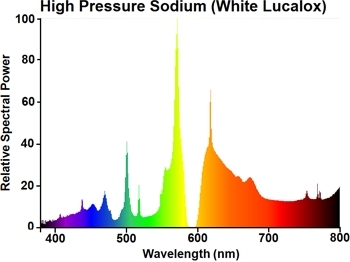 This raises the plasma temperature so as to excite the normally weak blue and green sodium spectral lines, and thereby achieve a whiter light. 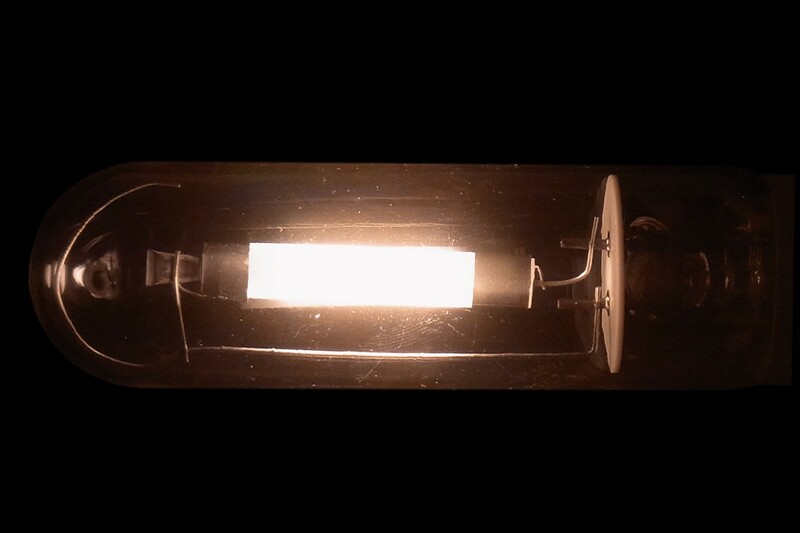 A fairly standard arc tube construction is then possible, employing GE's typical external amalgam reservoir to improve colour stability from lamp-to-lamp and during ageing, and external heat shields to raise amalgam temperature. 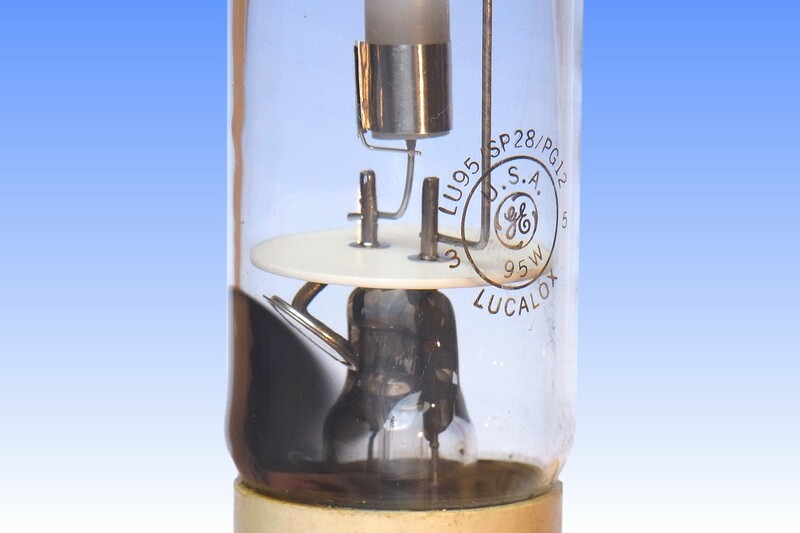 Incidentally, early lamps were plagued by a humming noise due to magnetostriction of the stainless steel 316 support frame under the high current pulses - this was later eliminated by changing the frame to a non-ferrous metal. Manufacturer: General Electric Company U.S.A. Factory: NELA Park, Cleveland OH U.S.A.